Well, a lot’s been going on this week, hasn’t it? 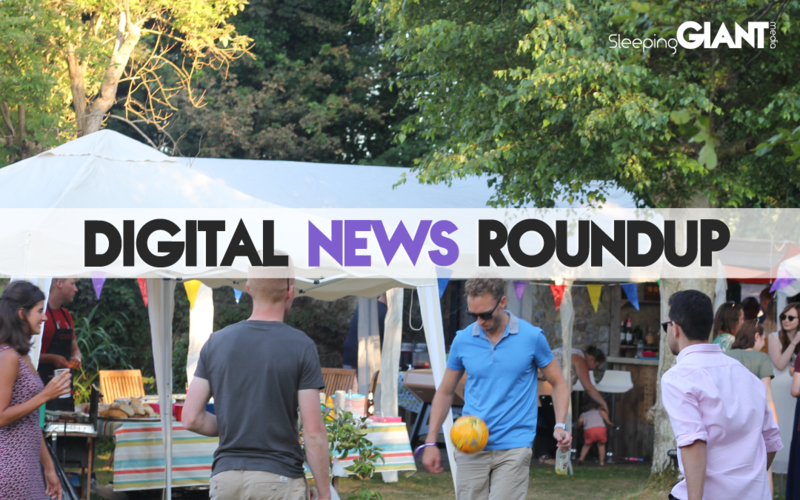 Keep reading to hear about the new emojis coming soon, how Google’s facing a record fine, Netflix launching a new TV interface, and some of the highlights from Trump’s UK visit earlier in the week. Enjoy. This week was World Emoji Day, and what better way to celebrate than with a whole host of newly-announced emojis? Apple has just shared details about new emojis coming later this year, including emojis for people with different hair colours, new animals, and even more foods – created based on previously approved characters. 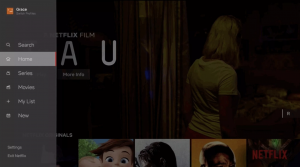 On Wednesday, Netflix began rolling out a whole new look for users on game consoles, set-top boxes, built-in smart TV apps, and more, following a redesign intended to overhaul how users interact with its TV apps. In a blog post on the company’s website, Stephen Garcia, director of product innovation at Netflix, said that the new design is hoped to make life easier for people who may be restricted to navigating with just a few buttons on a remote control. “The new interface was based on rigorous research and testing around how we can make it easier to find titles on TVs,” he explained. The biggest new feature is the sidebar, where you can find different sections for things like search, home, movies and series (TV shows) – similar to the design that YouTube uses for its TV apps. The new area named My List also means you don’t have to scroll down through the endless rows to find where Netflix has put your own queue this time around – which sounds like a big plus side. According to the blog, this is just one of “many improvements” that the streaming company is planning to roll out over the course of this year – and we’re looking forward to seeing what else they come up with. See more of the details over on The Verge. Finally the result of a 39 month enquiry into Google has come to an end – but perhaps not in the way that Google hoped. The search giant has been stung with a landmark £3.8bn fine by the European Union over what was deemed to be “serious illegal behaviour” – around the US tech firm forcing smartphone manufacturers to pre-install Google’s search and browser apps on devices using its Android operating system. When you start to understand that this operating system is used on 80% of all phones, you see that this requirement has a massive impact on the industry, and how people engage with the Google brand – with manufacturers that refuse being denied access to the Google Play apps. Google has already announced that it plans to appeal the record-breaking fine, stating that Android has created “more choice for everyone, not less”, and denying that it’s creating an unfair playing field within the industry. Under the ruling, Google has 90 days to end the “illegal conduct” or it could face fines of 5% of its daily turnover for each day that passes – and when you earn as much as Google, that’s not to be sniffed at. To understand the full impact on both the brand and the industry as a whole, read more on the story in The Guardian. 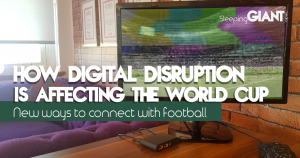 Back in June, when our World Cup dreams were still riding high, we put together a blog about how the digital world was affecting the World Cup this time around. And now that the tournament is over, it seems that the stats back us up. The data, collected by Ogury, was gathered between 6th June and 12th July in the UK, France, Russia, Brazil, Germany, Spain and Italy. 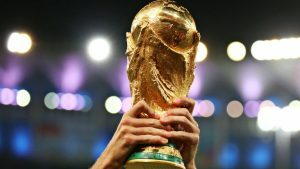 It looked at how 2.1 million smartphone users engaged with this year’s World Cup, and found that there was a 52% increase in ‘football fans’ during the tournament, with a 41% increase in female interest in the tournament. This is even with female fans making up just 3% of the total volume of fans – pretty impressive. When it came to apps, SkySports took the crown, with 39% of the share of app visits in the top 10, while sportinglife.com took the lion’s share of the website traffic – at 43%. The full report on the stats can be found on Net Imperative. It’s not often that something happens that brings the whole country together in one (almost) unified voice. But recently, we’ve had two of these rare occasions – one in the form of the incessant ‘it’s coming home’ chants ringing out across the nation, and one in the form of the blatant and resolute “go away” message directed at President Donald Trump as he visited the UK this week. While he enjoyed tea with the Queen and a less-than-interesting looking dinner with Prime Minister Theresa May, cities across the country erupted with protests; many boasting more visitors (and undeniably more passion) than the crowds seen at Trump’s inauguration. Awkward. There were also some key moments that spearheaded the feelings over Trump’s visit – perhaps the most famous being the giant crowdfunded Trump baby blimp which flew over London. 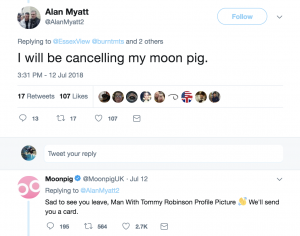 Card brand Moonpig even mocked up a faux Trump baby balloon product in a series of parody posts – and the brand’s response to outraged customers was a thing of beauty. One thing’s for sure, whether it’s Moonpig, the Mirror enlisting a mariachi band, the Women’s Equality Party creating videos or a cheeky farmer making some…interesting…crop circles, Brits took their creativity to a whole new level this week to ‘welcome’ President Trump to our shores. Let’s hope that welcome resonates – and we don’t have to do another one for a very long time. Check out the Trump Baby Twitter account to enjoy some of the best images, or read more about how people got involved at The Drum. 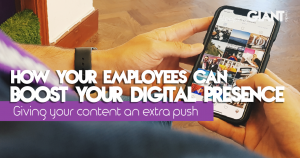 If you’ve been anywhere near our social channels in recent weeks then you’ve probably seen us talking about superheroes – with the odd image thrown in of some of our senior team dressed in a whole lot of lycra and seriously impressive leopard print suits. We’re looking at you, Lee. 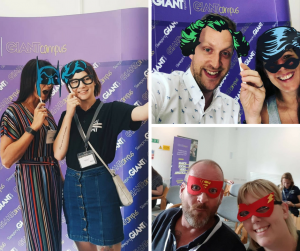 This was all in aid of the latest installment of GIANT talks, which took place yesterday at The Orchards Events Venue in Maidstone. The day featured presentations by Colin Smith from Brachers and Seamus McCauley from Holiday Extras, as well as talks from our very own CEO Luke Quilter, and our Brand Marketing Manager and Head Boy of GC, Danny Windsor. The day was a big success, with 73 attendees, 4 speakers, 1 dog, and plenty of selfies. Take a look at some of our favourites below! 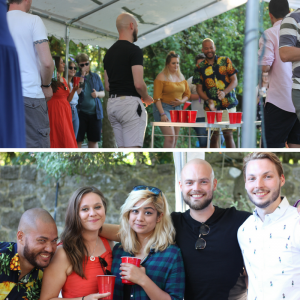 Each year, SGM host a summer party to celebrate all of the awesome things that have been happening in the first part of the year – which we affectionately name Quiltonbury. 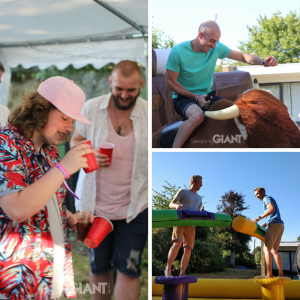 This year’s event took place this week, and was full of sun, sangria, an ice cream van, and even a mechanical bull. We thought we’d share some of the pictures from the day to give you a sneaky peak behind the scenes. We had an awesome day! And just like that, it’s almost the weekend! Hope you have a good one people, see you again next Friday.